Alaska private colleges sometimes fall below the radar because of the great distance that separates them from the rest of the continental United States. However, schools, colleges, and universities in the "Last Frontier" offer numerous advantages to students, scholars, and teachers alike. Given the population to federal spending ratio, Alaska private colleges enjoy a comfortable budget which they use to great advantage. In your first few weeks, you will be amazed by the state-of-the-art facilities, excellent resources, and top-notch faculty. After a few more months there, you will soon realize that the higher education institutions of New England and California have nothing over the academic programs offered in Alaska. But the benefits do not stop there. There are 9 colleges in Alaska, 6 public and 3 private, offering a wide range of programs and majors. Although there are few private universities in Alaska, and the majority of students attend one of the colleges in the public university system, there are options for students interested in very targeted learning experiences.Alaska private colleges and universities offer a wide range of education programs with degrees and certificates up to the doctoral level, as well as professional degrees such as law and medicine. These Alaska private colleges are diverse in character, academic emphasis, and origins. Some private colleges or schools have a religious affiliation; others are secular. Alaska private colleges and universities may be profit or non-profit institutions. Typically, Alaska independent colleges or private schools give weight to personal characteristics and activities in addition to considering GPA and test scores. 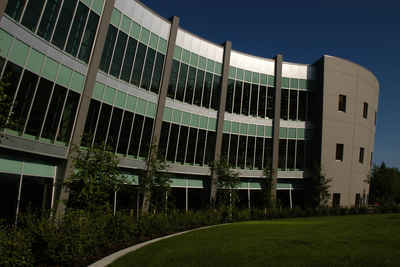 The largest school being Charter College Anchorage with 740 full time students. Alaska Pacific University is the most expensive with an in-state tuition of $29,700. On average, how much does it costs to attend private college in Alaska? The average annual in-state private college tuition in Alaska is $24,700 in 2013. Choosing the school and program of study you need is simplest if you know what career you want to pursue. A career goal can also determine what level of education you need to be qualified in the field. Some occupations require specific certifications and training hours, while others may require advanced degrees. If you know what degree you need, you can narrow your list of choices. If you haven't chosen a career yet, but know you want to continue your education, you can start a general education curriculum at a two- or four-year college or university. Choose a school that offers several majors you think you may be interested in, and make use of resources available to help you choose a major. Alaska Association of Private Career Education. Alaska has 3 private postsecondary institutions, and there is not a state organization for private institutions of postsecondary education. Many proprietary and vocational schools are members of the Alaska Association of Private Career Education. Alaska ACTE was formed in 1987 as the Alaska Vocational Association. The name was changed in 2004 to reflect the national movement from "vocational education" to "career and technical education."